As its name suggests, The Dairy House once formed part of the outbuildings of a dairy farm. In 2002, it was very tastefully converted into a high quality open-plan country cottage containing everything the discerning holiday-maker needs for a luxury holiday. Built on two levels, The Dairy House has beautiful polished wooden floors with wool scatter-rugs throughout and the interior design has been very thoughtfully completed. Having wheelchair access and with most accommodation being on the ground floor, this property is suitable for anyone with a disability. 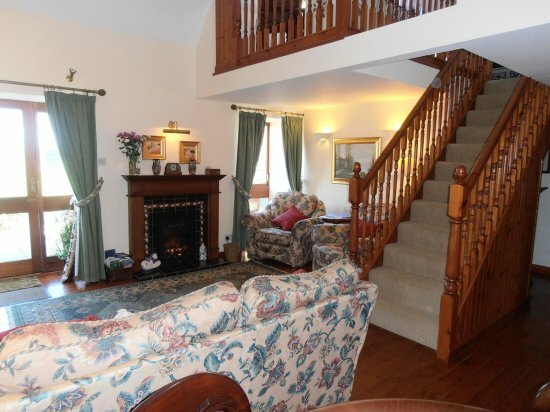 On the ground floor, there is an open-plan living room with a three-seater sofa and two armchairs, a feature tiled fireplace with coal-effect electric fire, a television with video, DVD player and a radio. 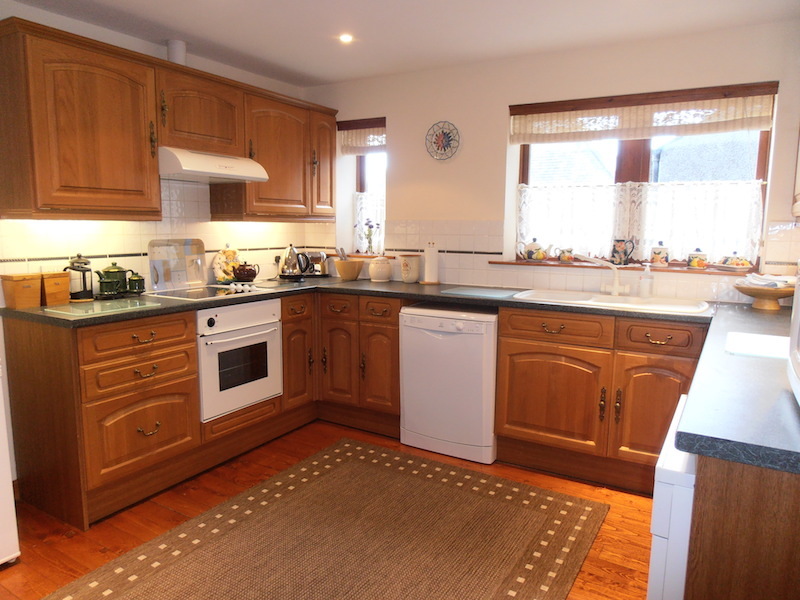 The kitchen is very spacious and has a washing machine, dishwasher, ceramic hob, microwave, fridge-freezer and everything you might need during your stay. The dining area has a beautiful inlaid dining table and chairs. 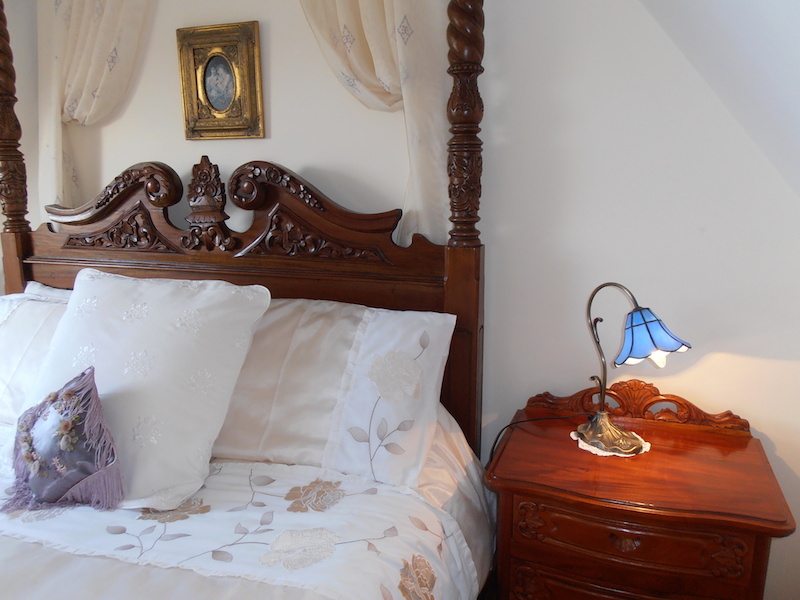 The ground floor bedroom has a mahogany sleigh bed with reproduction furniture. The Ground Floor also houses the bathroom with its modern white suite and a power shower over the bath. The upper floor is accessed by an open staircase leading to the gallery bedroom housing a magnificent carved four-poster bed and matching furniture. 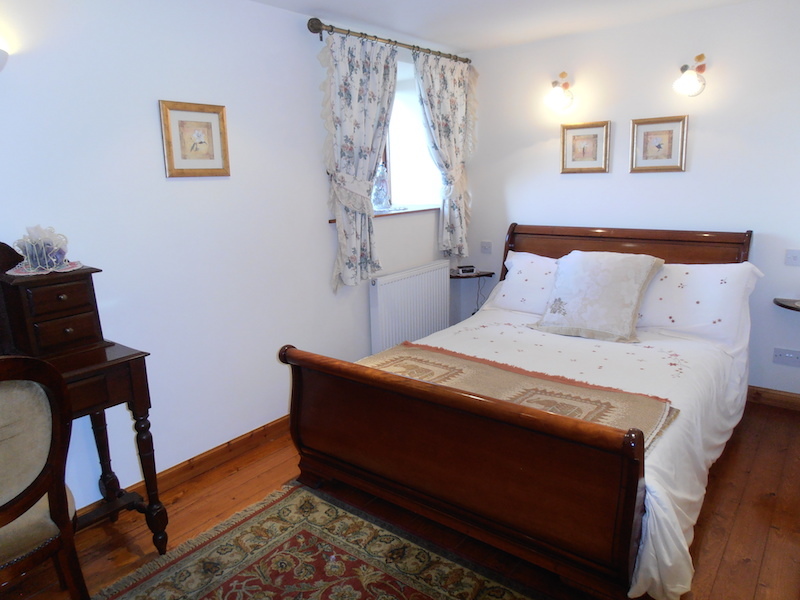 A cot and a Z-bed are also available - please enquire at time of booking. 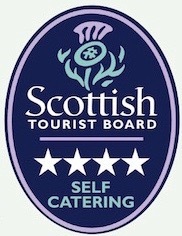 The Dairy House enjoys fabulous views across the estuary of the River Dee as it flows through its wooded valley, past Kirkcudbright and into the Solway Firth at Little Ross Island. The scenes change both with the ebb and flow of the tide and with the turn of the seasons. Owners Julianna and Paul Dixon live close by and like to welcome all their guests personally on arrival. You will then be left to enjoy your relaxing holiday, but Julianna and Paul will be on hand if needed.